If you were looking for someone to dance at your wedding, look no further. 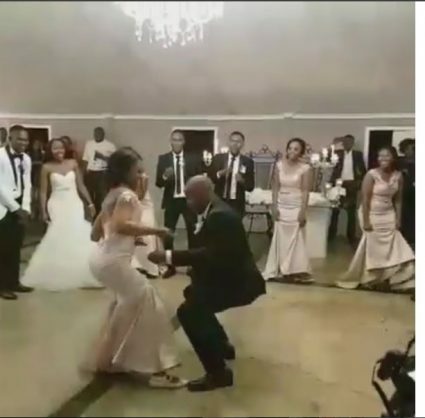 Isibaya actor Nomzamo Mbatha attended a friend’s wedding on Saturday and was kind enough to share videos and pictures of the ceremony. Her boyfriend, TV presenter Maps Maponyane, accompanied her, and they looked really good together. Anyway, we knew Nomzamo could act, but dancing? The woman can move! Watch the video she posted on Instagram on Monday night.